The OC-30 Oil Caddy couples the Lincoln pneumatic 1:1 piston driven pump system with our 30 gallon tank. 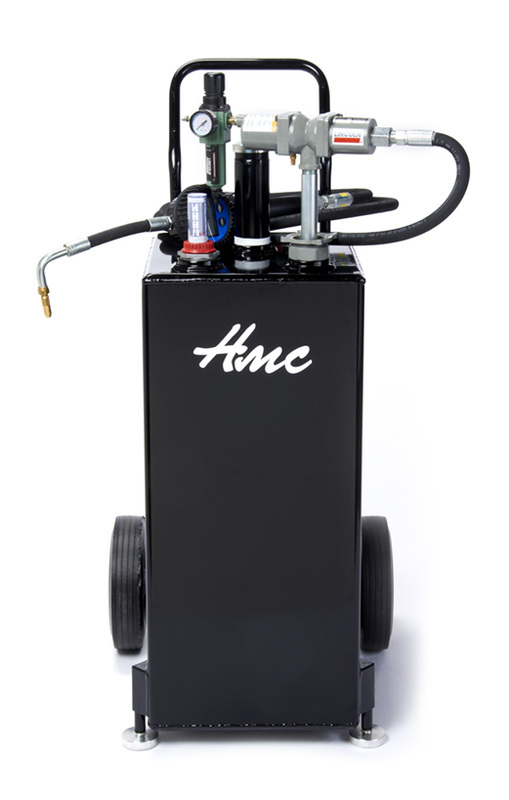 Manufactured from 14 Gauge Steel, this system provides an efficient and handy means to transfer fluids such as engine oil, hydraulic oil, and transmission fluids without lugging heavy 5 gallon jugs. The electronic digital metered dispensing nozzle ensures you add just the right amount of fluid without spilling a drop. The tank has a dark black powder coated finish for durability.. The OC-30 Oil Pro is the big brother to our OC-30. 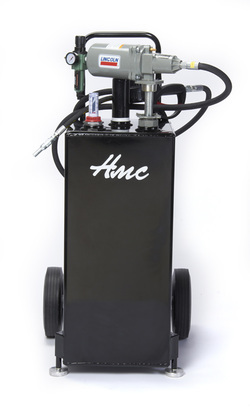 This model incorporates the same rugged tank and paint with a Lincoln 3.5:1 piston driven pneumatic pump. Designed for efficiency, the OC-30 Oil Pro will deliver fluids quickly and accurately without spilling a drop. The OC-30 Oil Pro also includes an auto shut-off nozzle tip.